What’s good everybody! 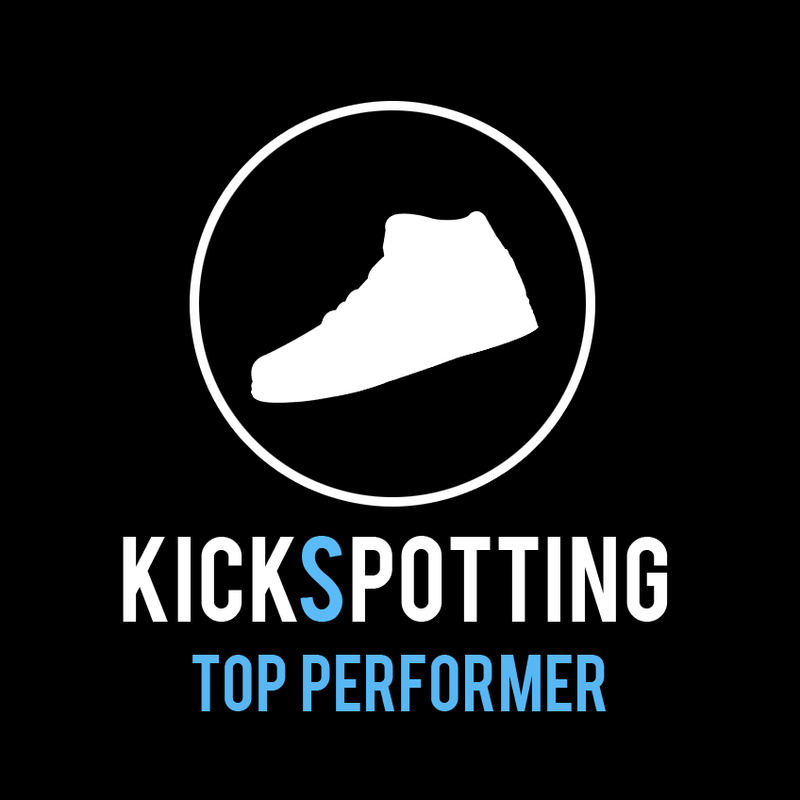 Back at it this week with the Lebron 12 performance review. The shoe has been out for a while now and new colorways keep coming every month, so you got a lot of options to choose from. 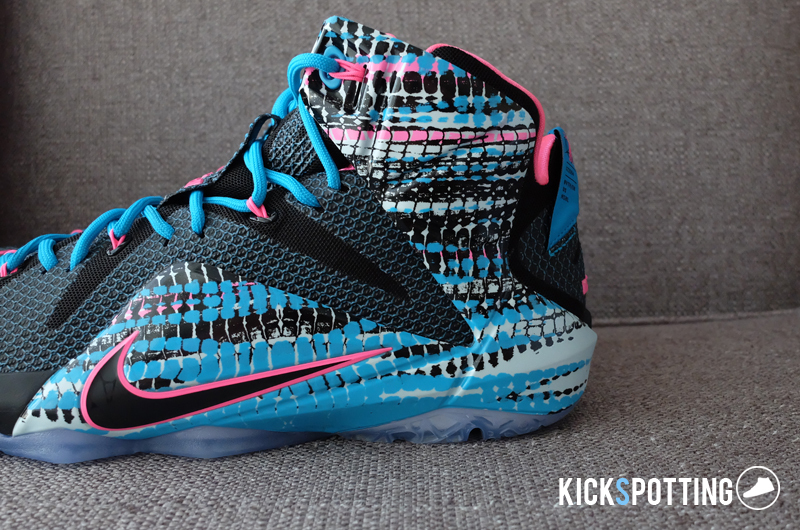 The Lebron 12 brings in a solid line up of features like the hyperposite, megafuse, hexagonal zoom, and zoom on the heel, which is built to support Lebron’s unique game of power and speed. How do these all work together? Let’s get to it! 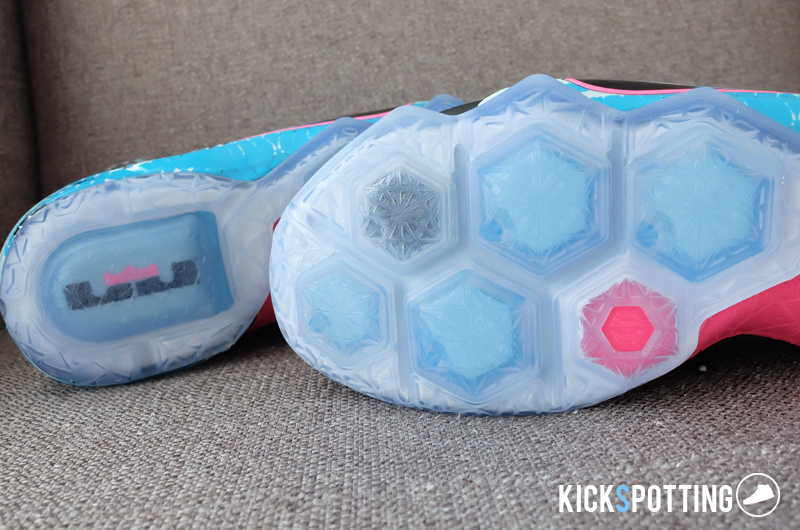 The Lebron 12 features Hexagonal Zoom Air cushioning which has individual hexagon zoom units mapped to the pressure points of the foot, plus zoom in the heel. Right off the box it doesn’t feel too soft or too hard. Just right. 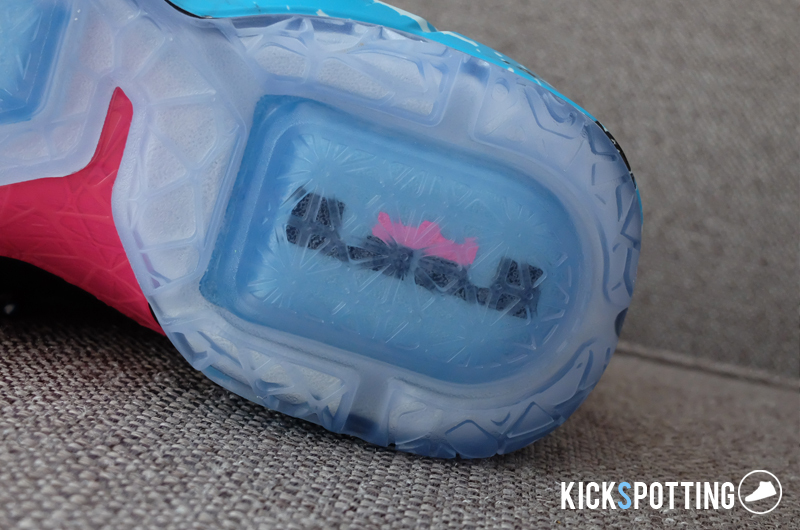 Nothing bouncy with the zoom units in the forefoot but you know you have great impact protection all throughout. That zoom on the heel though feels really good with that bit of bounce and great impact protection. On the court I didn’t feel that bounce too much on the zoom units but what you get is a very evened out cushioning setup where everything just feels comfortable and you get a great ride overall. Loved the setup on this one. 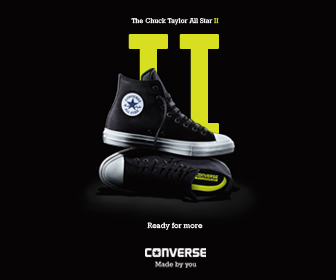 You’re giving away some of the court feel but you get protection the whole way while still maintaining flexibility. Cushioning was solid all the way. They fit true to size. Another thing I loved about this shoe was the fit because it just kept my foot contained and locked in. Nike uses new Megafuse material which is a mix of mesh with a layer of fuse on top which looks like body armor. What you get is a soft material that’s still very supportive. A mix of mesh and fuse. The Lebron 12 uses a one piece booty construction but I didn’t have a hard time putting them on and they just felt cozy once you get your foot in. They have a cut on the sides of the tongue so you can still move it around a bit and pull on it when you put them on. Hyperposite wings on both sides of the ankle up to the midfoot area add support but don’t restrict movement of the foot. You get a good hug around the ankle area and heel which keeps you locked in and I didn’t get feel any slipping at all. Dynamic flywire adds to the lockdown on the midfoot when you lace them up tight. The only problem is how to lace them up tight. The megafuse material on the lace loops stop the laces from moving smoothly and you’ll have to put in a lot more effort in lacing them up tight the way you want to. Main feature here is the Megafuse upper which acts like mesh with added fuse for support and stability, but without the restriction. It’s the perfect option for those you want a little more support from mesh material but on the softer side of fuse. They move well with your foot and I didn’t experience any pinching. 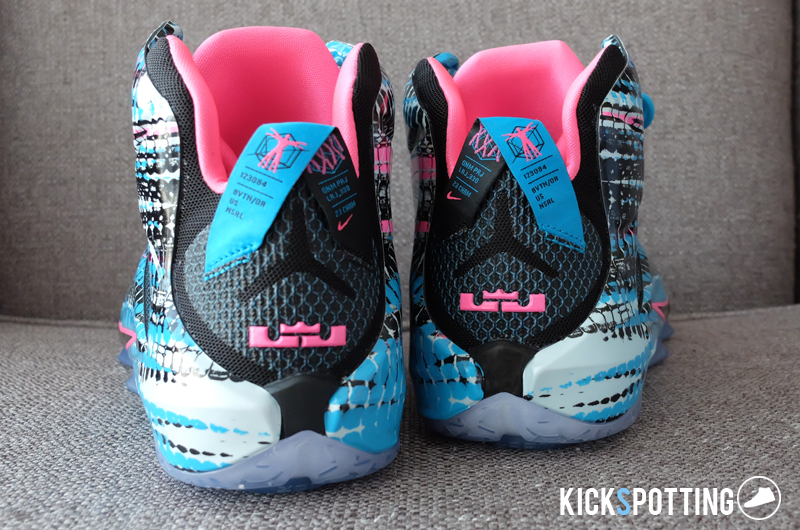 The hyperposite wings also add to the overall design as well as the performance aspect. They give added support but again without restricting your movement at all. Solid materials here overall. 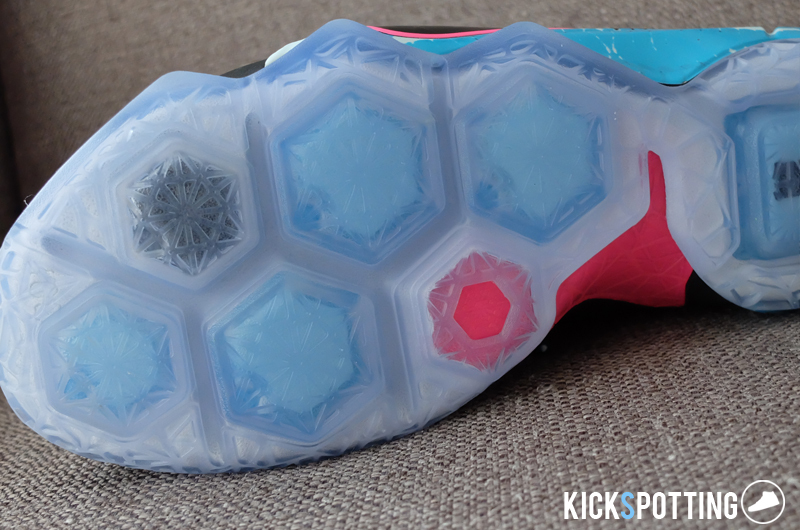 The Lebron 12 uses a multidirectional outsole pattern which you will find inside the individual hexagons plus an outer rubber for added traction. Overall they did well. I didn’t feel any slipping throughout all my runs and you’re good to go with sudden stops and change in direction. The hexagonal units always make contact with the ground pretty evenly so you get a good amount of grip all the time. 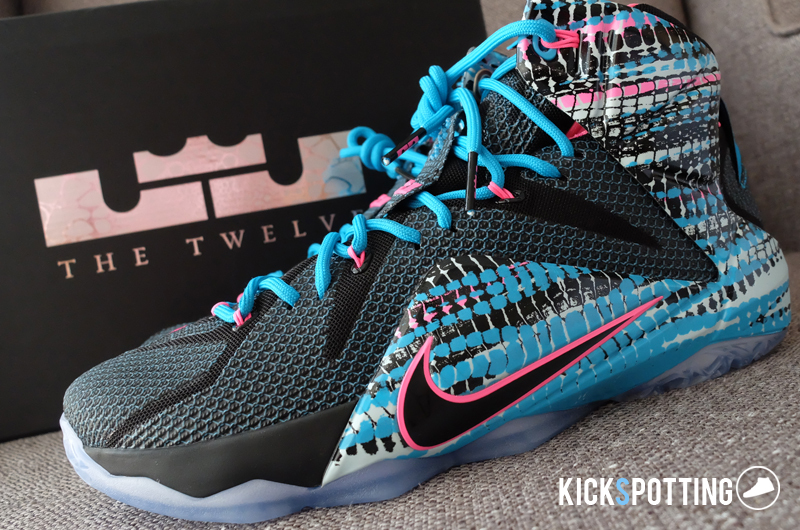 Just looking at the Lebron 12 you feel like you’re wearing armor and that you’re protected all the time. And that’s exactly how I felt. Once you get your foot inside it feels like you have layers of protection without hindering your foot from movements. The Megafuse material keeps your foot contained and gives you support with out the restriction. Hyperposite wings keep your ankles and heel in place and wrap around it well. You also have flywire for added lockdown, a one piece booty construction, and a TPU shank for added stability. Lastly the shoe features outriggers to keep your foot from rolling over. You get all that protection and sometimes you won’t feel it’s all there because your foot still keeps its natural movement. 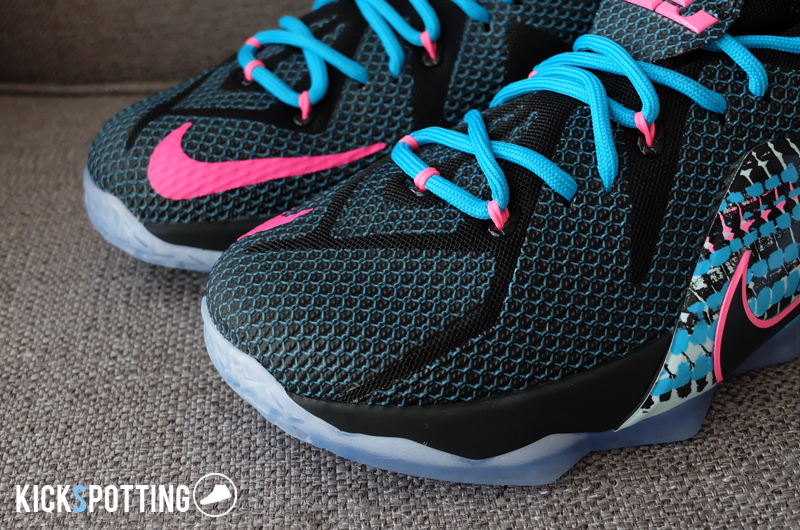 Overall, I really liked hooping in the Lebron 12. It was just a solid shoe all throughout. You have good and comfortable cushioning, good fit and traction, and lots of support which all types of players can enjoy. Now I know that Lebrons are not always for everyone because whatever happens they still look bulky as compared to the Kobes, but performance wise it should be a good fit for a lot of players big and small. The only drawback here is the lacing system and the price. It’s pretty tight now at P11,495 but if you were to choose one shoe to play in this year I think this should easily be top 5. You can grab your own pair at Toby’s Sports Stores and other Nike retailers around the metro. Solid shoe with solid features all around. 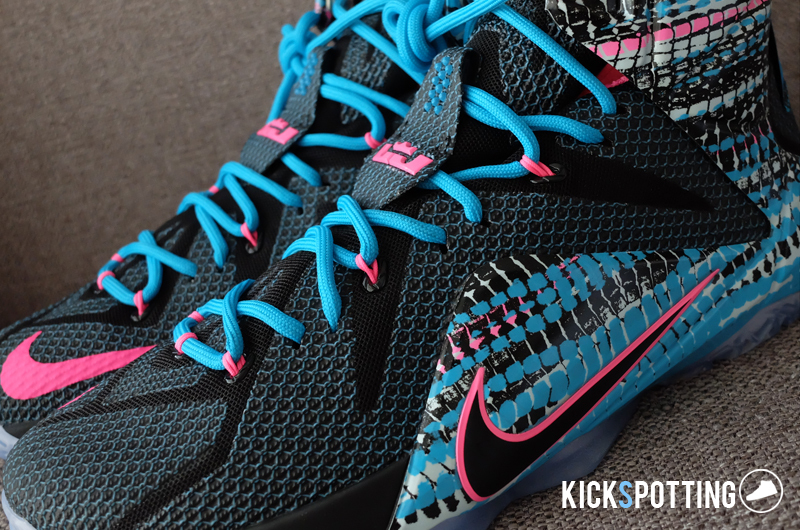 The Lebron 12 will give you an overall comfortable ride.